Mary Puchades | Run S.M.A.R.T. Mary Puchades of Coral Gables, FL got her BQ at the Last Change BQ.2 Marathon and achieved a new PR in the process. Mary’s official time of 3:52:06 earned her first place in her division and it was the first time she ever averaged sub-9 minutes per mile in a marathon [Results]. 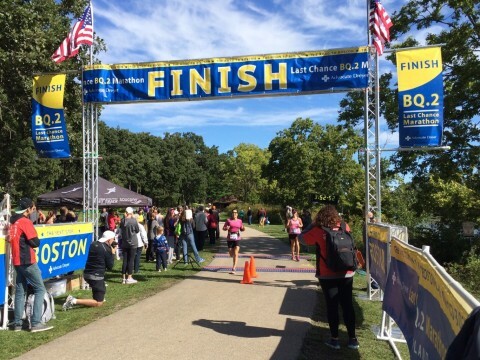 She did so by running a negative split after coming through in 1:56:40 at the halfway mark!